Spice up your evening ambiance you want with Outdoor deck lighting by Vivid Lighting and Living. Since years, Vivid Lighting and Living has been known for offering great customer service and are always there to help customer to enhance their shopping experience. 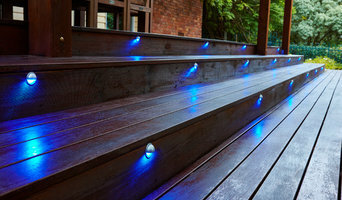 You will find wide range of deck lighting that will surely satisfy each and every customer demand satisfyingly. Browse our selection right now and give your home an attractive and elegant look. LEDified is Australia’s largest full service LED specialist. LEDified designs and procures it’s own class leading, patented LED products direct from world class manufacturers. From LED downlights in the home, to LED highbays in the warehouse and everything in between, LEDified has the right LED lights for your home or business. LED retrofitting is the best energy saving investment you can make. Through it’s full service business model, LEDified customers achieve attractive pay back periods on their LED installation. Industry experts expect LED lighting to represent the majority of the lighting solutions within the next 5 years. Everyone, from households to large corporates have started to make the switch to LED light. The Australian Government phase out of inefficient lighting is supported by the Victorian VEET and NSW i-PART programs to support Australian’s with their LED upgrades. At the beginning of 2013, LEDified supported the Australian game by becoming a proud major partner of the St Kilda Football Club. Drawing on foundations in architecture and creative arts, as well as over ten years experience designing and making, Earl Pinto craft and create lighting and furniture for both intimate spaces and large scale commercial projects. The Earl Pinto philosophy has always been one of designing, planning and building everything from our workshop. Every Earl Pinto product is made to order and proudly made in Melbourne. We don't manufacture offshore and wherever possible we use Australian made materials. We try to be a responsible manufacturer and all of our finishes are low VOC and environmentally un-harmful. Electricity used in our workshop and showroom is bought from renewable energy sourcing Green energy suppliers. our timber products are all bought from suppliers with FSC approval and our imported timbers actually arrive carbon positive! We stand by our products and by our philosophy of making everything ourselves, even when a cheaper offshore alternative presents itself. It's just the way we do things, and we won't be changing. We make things that we can be proud of for a lifetime and you can be proud to own for a lifetime. Select Lighting was originally founded in 1977 and has been in the business of importing lighting for 30 successful years. Vincent Muscariello arrived in Australia way back in 1967. 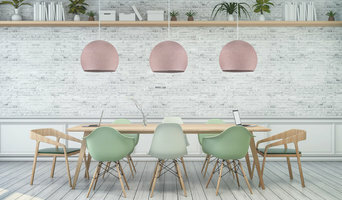 Originally from Italy, Vincent initiated the company Select Lighting on a small scale importing giftware and lighting mainly from his mother country. 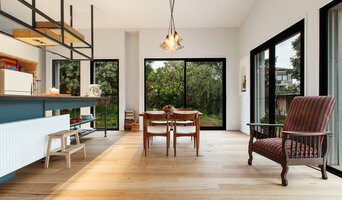 Select Lighting is always seeking to introduce fresh, contemporary and modern lighting to today's home and lifestyle. The company's main objective is to achieve outstanding design, quality manufacturing at affordable prices. Each Ben-Tovim design product is assembled by hand in our Preston studio. B-TD looks to source as many parts and materials from local suppliers as possible. Our products are all made to order in small batches, allowing customization and collaboration. The B-TD studio loves to explore new technologies such as 3D printing joints for the Rough Diamond Pendant range, or exciting new materials like laminated bamboo ply used for the Boo furniture range. However the ultimate ambition is to always create timeless objects worth holding on to. Lexi Lighting is a young and fresh importer and wholesaler of innovative lighting solutions. We work with young, creative designers to be a market leader in lighting, with a vision to introduce our innovative lighting solutions to the Australian market. The accumulated experience of our engineers, designers and professional staff in the production provide exceptionally modern while attractively priced products for both inside and out. Lexi Lighting is a great choice when lighting a home or decorating rooms. The company’s reasonably priced collections include lamps, night lights and decoration lights. The beauty in Lexi Lighting products lies in our originality, using unusual shapes and the latest low voltage and LED lighting technologies. Our decoration lights is an essential aspect of party, Christmas and home setup, and they can also add a much-needed touch of class and style to virtually any indoor and outdoor festivities. Modern lighting options have extended far beyond the traditional pointed bulbs we see around the holidays, to include a wide variety of unique and elegant styles that illuminate the night atmosphere brilliantly. Vintage LED was born out of necessity, a passion for cool lighting and a commitment to environmental sustainability and carbon reduction. We are excited about providing a real alternative to vintage style carbon filament light bulbs (Edison light bulbs). Carbon filament light bulbs are energy hungry and don't last long, but people want to use them because they look really good, we did! In fact a few years ago we needed to solve a lighting problem in an old bank in Northcote and found that the only nice looking naked light bulbs were in fact halogen or carbon filament. We installed 30 of them. The light was poor, they kept blowing and they were expensive to run. So we started looking for alternatives and realised others might be doing the same. This was the start of Vintage LED. What has really surprised us is the extent of the savings we are making. Most people who mention a return on investment of 25-35% are probably pulling your leg or selling you a fabulous timeshare on some island that does not exist. But changing over to LED honestly represents a significant return on investment. As everyone's needs are different, we want you to be able to accurately see see how much you could save, so have created an energy savings calculator: Click here. Vintage LED offers a selection of lights and fittings to suit the contemporary retail, café, restaurant or home. It centres on the idea that lighting should be functional, warm, efficient and beautiful. Our lights do not compromise on any of these things. We are sure you’ll agree. See our collection. We aim to provide a high quality, cost effective lighting solutions to Australian and New Zealand commercial and domestic markets. We offer a competitive, swift service and provide high end solutions. TM Lighting Group are able to assist with lighting design and provide BCA Certification. We will leave you with a trusting relationship that you know you can rely on! Hugh Altschwager is a sixth generation farming son from South Australia's Limestone Coast whose upbringing saw him splitting his spare time between the ocean and the workshop. With a background in architecture and construction project management, he merged his passion for design to form Inkster Maken in 2013. Influenced by both the Australian environment and Nordic heritage, Inkster Maken utilises locally sourced natural unprocessed materials to create long lasting products with a timeless Northern European aesthetic. Inkster Maken's first range of lighting products has been created using turned South Australian Limestone and reclaimed Australian hardwood. All products are designed and hand crafted in Melbourne, Victoria.